James L. Hicks | The College Funding Coach James L. Hicks | Paying for college without jeopardizing your retirement! Jimmy is a CERTIFIED FINANCIAL PLANNER™ professional and has been a member of The College Funding Coach® since 2014. He grew up in McLean/Falls Church, VA and graduated from McLean High School in 1999. He then went on to attend the University of Virginia in Charlottesville, VA and in 2003 earned his degree with distinction in History and Economics. While at UVA, Jimmy was the Treasurer and President of the Economics Club and served on the Third Year Class Council. After a short career in sales management, Jimmy returned to the University of Virginia to earn his MBA from the Darden School of Business. He then went on to work in South Korea as a global strategist and later as Director for a start-up educational management company in São Paulo, Brazil. At the end of 2012, Jimmy returned to the United States and his hometown of Falls Church to pursue a career in financial planning. Today, Jimmy’s mission is to make a positive difference in the lives of the families that he helps. 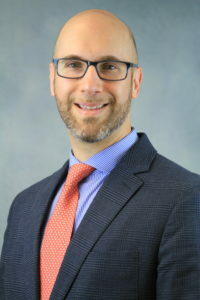 He is a member of the Greater Washington Association of Insurance and Financial Advisors (NAIFA), the Secretary and Treasurer for the Business Magnets Chapter of Business Network International (BNI), and a member of the Falls Church City and Greater Reston Chambers of Commerce. Jimmy is located at our Vienna, VA office at 1593 Spring Hill Rd. Suite 500E, Vienna, VA 22182. His email is jhicks@financialguide.com and his direct phone line is (703) 394-7176.